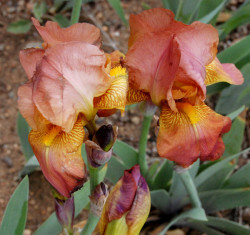 Very hardy and easy to grow, bearded Iris grow very well in northern New Mexico. They come in a wide variety of colors, are rabbit resistant, and are drought tolerant once established. Plant rhizomes in full sun 12 inches apart in moist, well-drained soil. Water well after planting and during dry spells. The top of the rhizome likes to be exposed to sunlight. 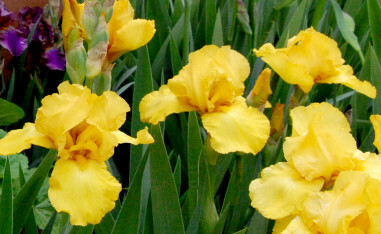 Iris plants are also available in containers, ready to plant. Look for them in the perennials department at either Payne’s Garden Center. 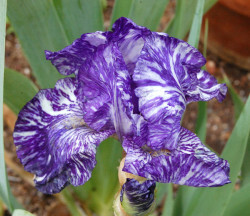 There are many beautiful colors and varieties available, some best loved for their repeat blooming and/or fragrance. Some favorites are Rosalie Figgee, Golden Harvest, Aureo Variegata, Double Ringer, Victoria Falls, Goodnight Kiss. 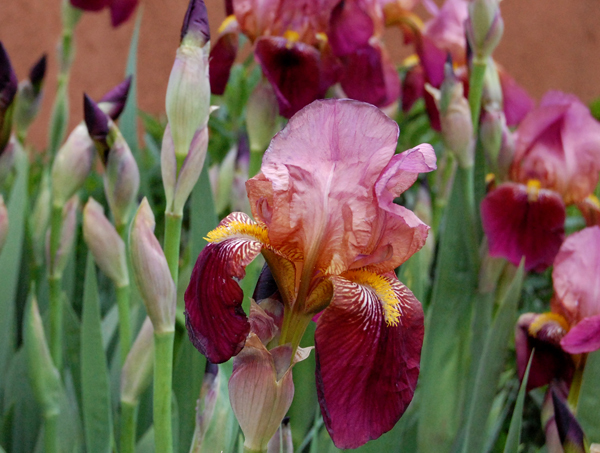 Side note: all of the photos of iris on this page were taken right here in Santa Fe.